Gina Din, the Founder and CEO of the Gina Din group, is a businesswoman from Kenya specializing in strategic communication and public relations. She was named CNBC outstanding businesswoman of the year for East Africa 2015 as well as 40 most influential voices in Africa. Siddharth Chatterjee is the UNFPA Representative to Kenya. NAIROBI, Kenya, Jan 7 2016 (IPS) - The onset of menstruation is a landmark event in the life of a young woman. Yet many complications and challenges accompany such an event. One in 10 adolescent girls miss school and eventually drop out due to menstruation-related issues. Figures from Kenya’s Ministry of Education show that a girl in primary school loses 18 learning weeks out of 108 weeks in a year during her menses. Within 4 years of high school the same girl losses 156 learning days equivalent to almost 24 weeks of learning. Overall, studies estimate that 61 per cent of girls miss school annually due to lack of menstruation hygiene facilities in their primary schools, and approximately 3.5 million learning days are lost every month due to menstruation. The beneficial link between female education and lifetime health has never been in doubt; a better-educated girl takes better control of her life. She has healthier and fewer children. Moreover educated women participate in the labour market and eventually lift households out of poverty, with these benefits transmitting across generations. Conversely, low education, poor health and nutrition have a magnified impact on the next generation, as malnourished girls become mothers at higher risk of maternal mortality, and of bearing low birth-weight babies. One of the reasons the benefits to society of educated girls are not accruing is because communities have been slow in removing manacles such as the inaccessibility of sanitary protection, the social taboos related to menstruation, and the culture of silence that surrounds menstruation, especially in schools. Lack of access to sanitary protection and towels disempowers girls, as they have to stay at home to avoid staining their clothes with blood in public. The cost of sanitary ware and towels is beyond the reach of many young women and girls, with most ending up missing school altogether during their menses. The government of Kenya is allocating resources towards providing sanitary towels in schools. While the allocation to the Ministry of Education to purchase the towels in 2011 was Sh. 340 million, the current financial year’s allocation is Sh. 400 million. The government must act upon the 2013 resolution by the East African Legislative Assembly (EALA) urging partner states to waive taxes on sanitary pads so as to increase their availability and affordability for young girls. 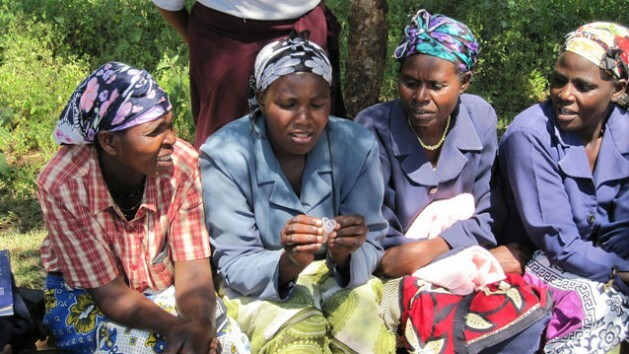 Poverty underpins many girls’ lack of access to disposable sanitary towels. These cost between 65 and 120 Kenyan Shillings (US$0.79–$1.45) and are unaffordable to families earning the average Kenyan daily income of just above 1dollar per day. A tax break would greatly help. We must see this as a violation of basic human rights when girls stay away from school because they fear the shame attributed to their menstruation or because they don’t have the means to maintain a healthy hygiene. Girls must no longer continue using old rags, towels, paper from their school books or even dirt or leaves to manage their bleeding. For a phenomenon that societies know will repeat itself unfailingly every month, the prevarication in developing concrete responses is very disappointing. While adolescence is the time when girls should begin transiting into adults and shift from dependency to interdependency within their society, almost two out of three know nothing about menstruation until they start their menses, usually a traumatic experience. As we celebrate a new year, the best gift we can give our girls is an action-plan backed resolution in 2016 that this will no longer be their lot. Sanitary pads or menstrual cups must be priced reasonably. Besides the obvious reproductive tract-related risks those methods present, these humiliating measures also mean that girls are unable to go about their daily lives. The situation for these girls becomes even worse when they are faced with poor sanitary facilities which prevents them from keeping good hygiene. School-based sexual education programmes need to teach adolescent girls and boys about puberty and menstrual hygiene. These can be linked to other age-appropriate instruction about the risks of early marriage and preventing pregnancy, coupled with other life-skill–building exercises, to help them negotiate healthy adolescence. There’s no force more powerful for transforming a society than an educated girl. Any steps taken to eliminate circumstances that keep girls out of school can only be beneficial to our collective future.